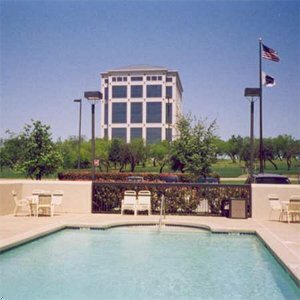 Hampton Inn Dallas/Las Colinas is located northwest of Dallas in the upscale suburb of Las Colinas, just 2 miles from the Las Colinas urban center, and 5 minutes from major office towers, corporate parks, nearby restaurants and the Texas Stadium. Local attractions include museums, symphony, rodeos, nightlife, shopping, water and amusement parks, racing, and sports. We feature 135 rooms, 6 stories, fitness room, and outdoor pool. Amenities include complimentary continental breakfast, voice mail, in-room hair dryer, and TV with cable. We also offer cribs, irons and ironing boards, dataport, and pay-per-view movies. Laundry/valet services and meeting/banquet facilities are available for a nominal fee. 3.0 Miles SE. Home of Dallas Cowboys/PKGS avail.